Senior opposition Movement for Democratic Change (MDC) official Tendai Biti on Tuesday said party leader Nelson Chamisa had won Zimbabwe's presidential election, and alleged that the authorities were delaying the publication of results. 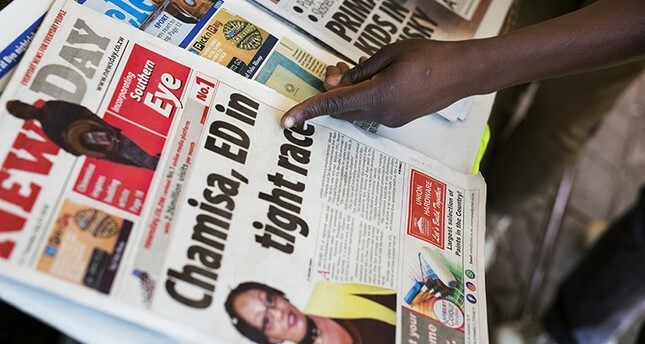 "The results show beyond reasonable doubt that we have won the election and that the next president of Zimbabwe is Nelson Chamisa," said the MDC's Biti, who was the respected finance minister in the 2009-13 power-sharing government. "We are however seriously concerned about evidence of interference... there is a deliberate delay in announcing the results. This delay is totally unacceptable," he told a press conference at the party's headquarters in Harare. "We have won the election, we are now daring ZEC (Zimbabwe Electoral Commission) to announce the result. We have done an impossible thing." Both President Emmerson Mnangagwa, of the ruling ZANU-PF party, and Chamisa earlier said they were ahead in the count after Monday's election, the country's first vote since the resignation of longtime ruler Robert Mugabe.